If you are pretty observant like I am you may have noticed a white container in a local yard that had in big bold lettering the word PODS and wondered what it was. PODS is short for portable on demand storage. More than likely a home owner who has one of these units is either moving or getting ready to move. PODS offers service to over 200 million people in more than 20,000 cities in 58 states, provinces, and territories throughout the United States, Canada, and Australia. Whether you are moving across town or across the country PODS are a great alternative to large expensive moving companies. The way the PODS system works is they drop of a pod at your home and you are able to fill it up at your leisure. You are given the flexibility to pack at your own speed and do not have to worry about others touching your belongings. When you are done packing and are ready to move your container, PODS will come and pick it up for you and deliver it wherever you need it to go. There is no question that PODS offer a convenient solution to moving. Working as a Massachusetts Realtor however, I have found that one of the biggest benefits is the fact that a pod unit helps de-clutter and organize a home. In a competitive Real Estate market you really need your home to look it’s best if you want to put the most money in your pocket. Home buyers have lots of choices and will look for homes that are in turn-key condition. Part of a homes appearance that can be easily changed without spending a lot of money is the cleanliness and organization. The goal should be to show off all the rooms in their best light. Staging a Massachusetts home is one of the smartest things you can do as a home seller. Buyers will be much more impressed by a home owner who clearly takes pride in the appearance of their home. A home that shows well can mean the difference between selling quickly or sitting on the market for months! In the link to the home staging article above I offer a number of tips to getting your home prepared for the market. When I meet with a home seller in the Metrowest Massachusetts area one of the things I am never afraid to do is give advice on how to make their home more appealing to the masses. Of course I know some people are very sensitive about their home but if I don’t make suggestions we both lose! On a number of occasions I have gone into homes that are just loaded with “stuff”. Some people seem to be collectors and just don’t ever want to give up anything they have ever purchased. As home owners we all accumulate lots of things we don’t even realize we have. If you happen to be a pack rat and just can’t stand to think about throwing anything away the perfect solution is getting a POD. PODS delivers a container to you so you can pack it and unpack it at your own pace. PODS containers can be stored at your home or business for easy access. If you prefer not to have the container in your yard they can be stored in one of the companies dry and secure storage centers. PODS storage containers come in 3 handy sizes: 8x7x7, 8x8x12, and 8x8x16 (sizes are approximate). You don’t have to drive a huge truck around town, maneuvering in and out of tight spaces and fill it up with gas when you are done. The PODS themselves remain at ground level for easy loading and unloading. You’re not on any time constraints, so there are no late fees or extra charges for taking longer than you expected. You are able to store your container for a few weeks or a few years. A pod container can be delivered next day for loading. You are the only one that has the key to your PODS storage container unit so you can be sure your property is safe. PODS containers are weather resistant and have been tested to withstand a wind velocity of up to 110 miles per hour when partially filled. PODS delivery trucks are equipped with a patented lift system that minimizes the shift of contents while in transit to one of their storage center facilities. PODS Storage Centers feature sophisticated security systems. If you realize there is quite a bit of excess furniture and other items hanging around your home, think strongly about getting a PODS unit to change the visual appeal. Another alternative to going with a POD is to get your own storage container at a facility that specializes in storage. Here are some excellent tips on how to choose a storage facility. There can be vast differences on what the options and prices that are found from place to place. It really makes sense to do your homework when trying to accommodate your storage needs. Getting some references from either friends or relatives is always a good idea when you are going to be placing what amounts to your most valued possessions in the hands of someone you may not know. Are you a Massachusetts home owner and want to get a pricing quote on a PODS storage unit? Click the link….>> Get a Massachusetts PODS Storage Quote. What are some of the best tips on how to move? Via Maximum Real Estate Exposure. Use these additional resources to make your home selling and moving experience a pleasurable one. About the author: The above Real Estate information on Massachusetts moving and storage with PODS was provided by Bill Gassett, a Nationally recognized leader in his field. Bill can be reached via email at billgassett@remaxexec.com or by phone at 508-435-5356. Bill has helped people move in and out of many Metrowest towns for the last 27+ Years. I service the following towns in and around Metrowest MA: Hopkinton, Milford, Southboro, Westboro, Ashland, Holliston, Upton, Mendon, Hopedale, Medway, Franklin, Framingham, Grafton, Northbridge, Shrewsbury, Northboro, Bellingham, Uxbridge, and Douglas. Bill, PODS are really popular around here and what a terrific idea! My clients getting ready to sell will use them to de-clutter their home in preparation for staging it to sell quickly. Great info, as I tell my clients it’s a price war and beauty contest out there these days!! Pam you are right about being in competition. So many sellers do not actually realize difficult things are until it is actually time to sell. It is so important that a home does not look cluttered! Great article on PODs, they are also very popular here in California. There are a number of alternatives to the PODS service including 1800PackRat, ABF U-pack and Door to Door storage services which are very competitive and highly rated services. The PODS company offers a great service but they are the more expensive option in many cases. 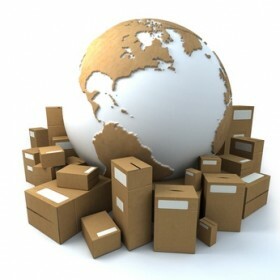 PODS MOVERS – thanks for your suggestions for other moving/storage companies. Great article and thank you! Just a reminder that RE/MAX clients and agents can save 10% on local service and 5% on long-distance moves through PODS’ relationship with RE/MAX. Just use promo code RMAX when you book. Thanks Matt! A few of my clients have used PODS over the years and have always been satisfied and happy they did. PODS certainly do make a move easier! PODS are a great invention and also popular here in Fairfield County Connecticut. They can be of great help when decluttering your home or doing necessary repairs, renovations prior to listing your home. Great Post. Claudia I have great success with using PODS when the home needed to be de-cluttered as well!